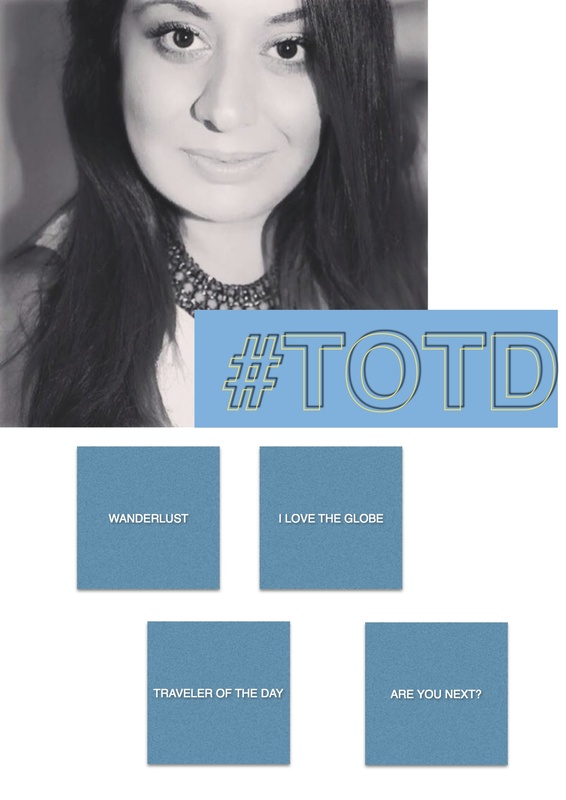 #TOTD, Traveler of the day Tag ! To kick this fun project off I will start with myself so you can get to know me a bit better and I already have a bunch of fun and amazing travelers and wanderlust’s lined up so keep on checking ! For my first holiday, at least the one that I can vividly remember I went to Turkey with my parents and my sister. 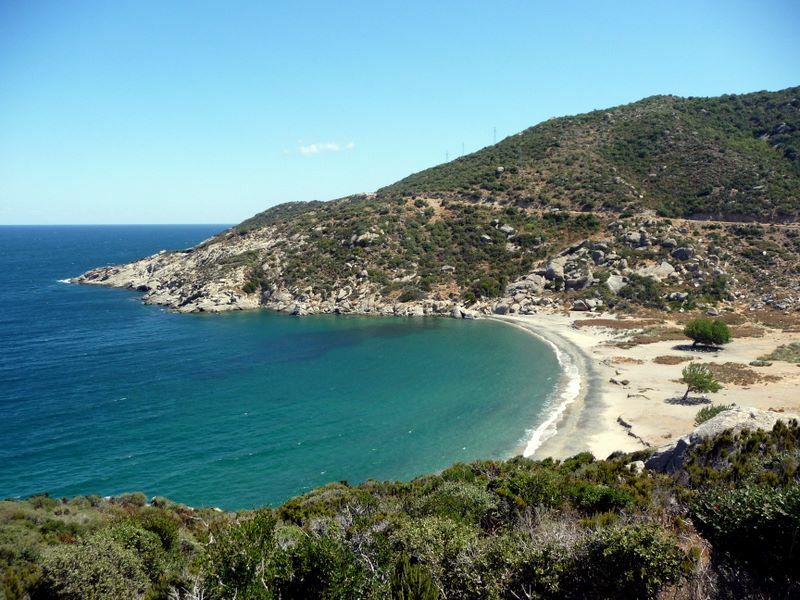 We went to a place called Erdek and it was this beautiful place directly located at the sea. This holiday is such a beautiful memory for me that I will cherish for the rest of my life. We actually went back quite often to this place the following years because we all just fell in love with this place and we adored the hotel that we stayed in. The first 3 items are so I am able to keep working on my website, take pictures and write posts and the other 2 items are necessary too because I am a girlie girl and even though I am traveling and I don’t always have time to put a full make up on, a little red lip and mascara always make me feel great! 4: What is your dream destination and why? My dream destination is, well it is actually a trip that I would really love to take. 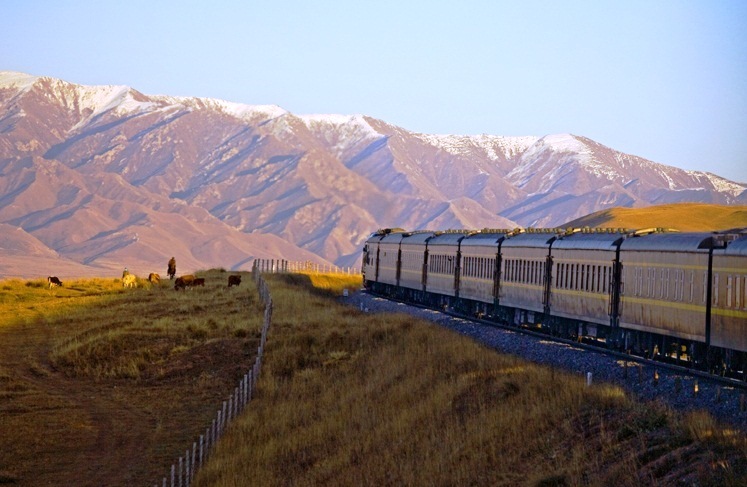 I want to take the Siberian Express where you start in Rusland and will go to China through Mongolia. I hope I can make this train trip in the near future. It is high on my travel wish list! This is probably one of my fave travel pics. 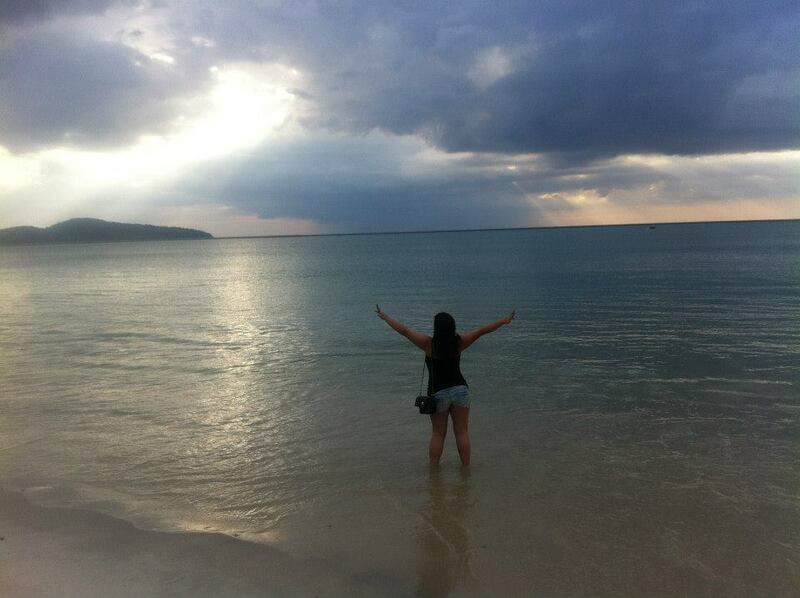 I took this pic, or well my GF did in 2012 in Langkawi, an island that is part of Malaysia. I went to Malaysia to build a new life after I broke up with my EX BF. I was really sad at that time but in stead of letting the negativity control me I chose myself and took on a new adventure. After a few weeks of feeling sad, this moment came. I really ‘felt the moment’ and loved every minute of it. It felt like a new start, at that moment I left my ex bf, my ‘past’ behind and start living my new life and enjoying Asia to the fullest ! If I could take anyone I would take my hubby Leonardo DiCaprio. Yes, I am obsessed with him, and no not in a creepy way. Haha. I think he is the most beautiful man that wanders this earth and I mean, have you seen ‘The Beach’? Dude knows how to rock the island life! And yes he is a bit older but I don’t care, he will always be my number 1 : ). I would also bring author Paulo Coelho because I adore his writings. His books are like my guide through life and I can get lost in his books. I would love to have him read me stories (yes a girl can dream right) and get lost in my thoughts and I would love love love to write a story together with him. The 3rd person that I would love to take with me is Sophia Bush. I think she is gorgeous and smart. I would love to have my girl time too and I think she would be a wonderful friend. I loved the W in Seminyak, Bali and I also love the Mainport Design hotel in Rotterdam, Holland. And actually, there are so many other hotels/villa’s that I absolutely adore. Well, these were my 7 questions. I hope you liked them and got to know me a bit better! Are there any other questions that you would like to ask? Tomorrow I will feature another traveler…. Previous With love from the Mainport Hotel in Rotterdam! Hey there! Here is my email for a #totd!! 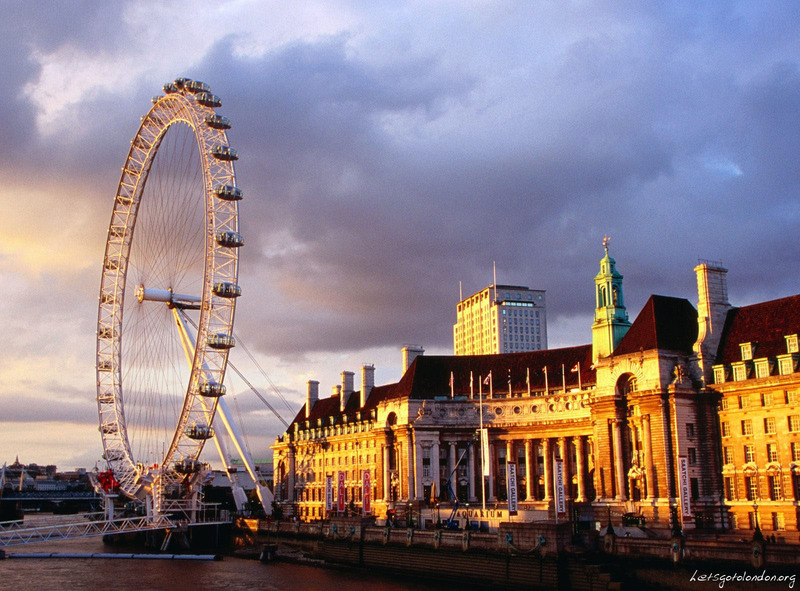 Yeah, I will be there from 27 aug until the first week of September. If that is in the Same period we can meet if not, one day soon! Talk to you soon, going to turn in now..very sleepy!